We live in an upside-down world, where wrong is right and right is wrong. How are we to live in such a world? Surprisingly enough, a first-century letter written on the tiny Aegean island of Patmos provides the answer. Join Chuck Swindoll as he explores the profound truths found in the epistle of 1 John. 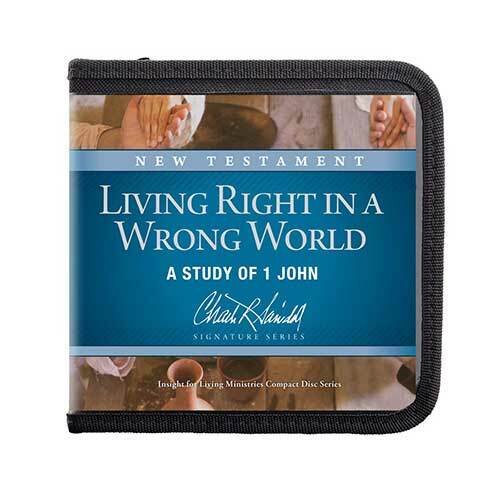 Chuck will provide practical insights into this little letter of significance, teaching you how to live right in a wrong world. Our Lord’s Return: What Then? Copyright © 2009, ℗ 2009 by Charles R. Swindoll, Inc. All rights are reserved worldwide.